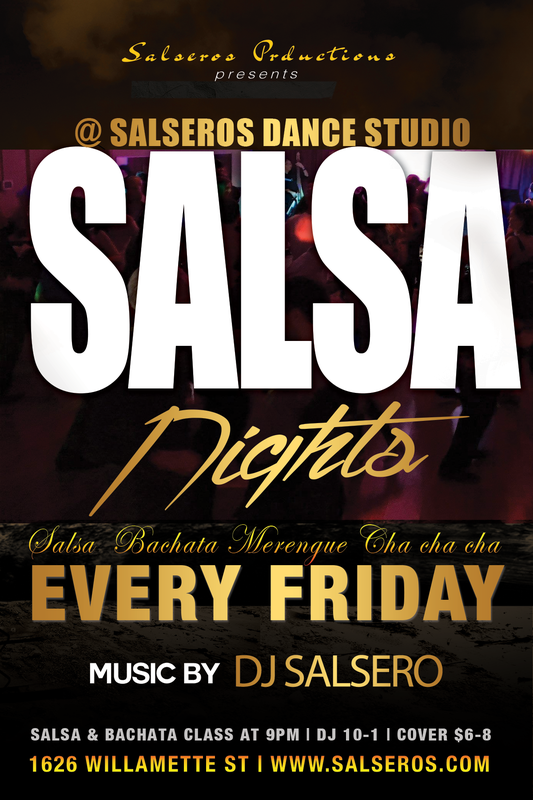 Salsa & Bachata Class for Beginners taught by Salseros Dance Company Instructors. No experience or partner is necessary to attend, All ages welcome. Doors open at 8:45pm, class begins at 9pm, and dancing all night starts at 10pm. $8 Cover, Only $6 Before 9:30pm.